The vice-chancellor of Utkal University, Soumendra Mohan Patnaik, today sat on a fast in front of his own office here for restoration of peace on the campus after a group of students gheraoed him yesterday. Bhubaneshwar: The vice-chancellor of Utkal University, Soumendra Mohan Patnaik, today sat on a fast in front of his own office here for restoration of peace on the campus after a group of students gheraoed him yesterday. The VC accompanied by some of his colleagues starte what he called the "Introspective Silent Fast" at 8 am. The fast would continue for 12 hours. The university opened yesterday after being shut for 20 days. Students had been agitating after Patnaik called off student union election in the university. "We took the step (fast) to shun violence on the campus. The decision over holding students' union poll will be taken by the PG (Post-Graduate) Council," the VC said. 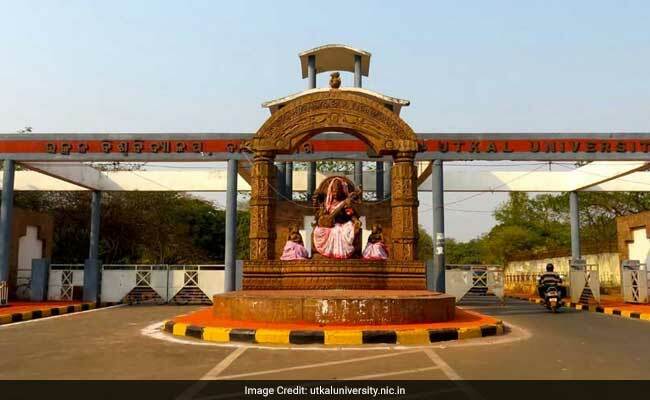 Utkal University was closed on September 18 following incidents of violence on the campus ahead of the students' union election, which was subsequently cancelled. After the university opened a group of students gheraoed the vice-chancellor demanding that he reconsider the decision to cancel the election. The agitating students also demanded a new schedule for the election this year. Meanwhile, Odisha's Higher Education minister Ananta Das said, "The VC has not informed the government about his dharna programme. He has also not held any discussion with me in this regard." Replying a question, Das said he would not be able to say whether a fresh election would be held in Utkal University. "It is decision of the varsity and not of the government," Das said.